I’m feeling rather Hemingway-sequence as I write this. We’re perched up in our french countryside castle hotel room with glasses of wine, fresh cheese and sausage from the market, and night settling peacefully onto the little town of Beaune, while Edith Piaf plays in the background. 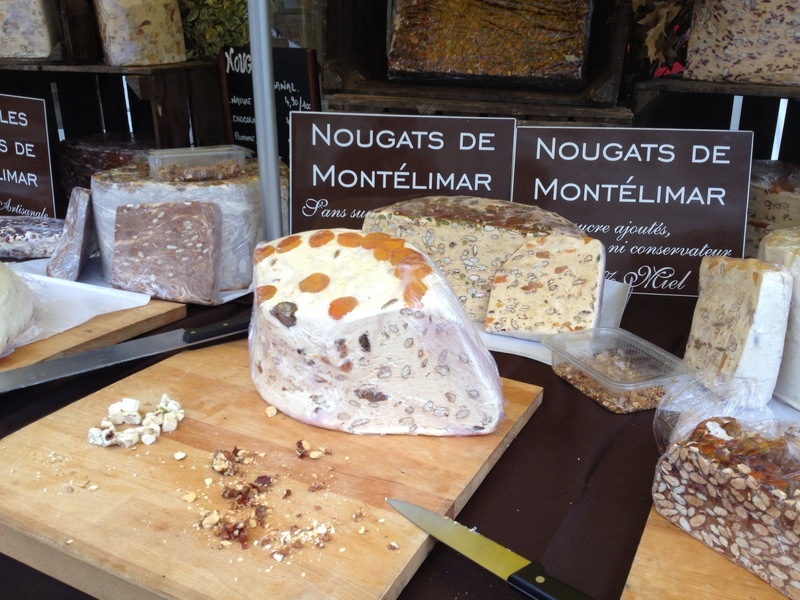 Did Hemingway write about nougat as big as your head? Because that’s the topic of the moment. 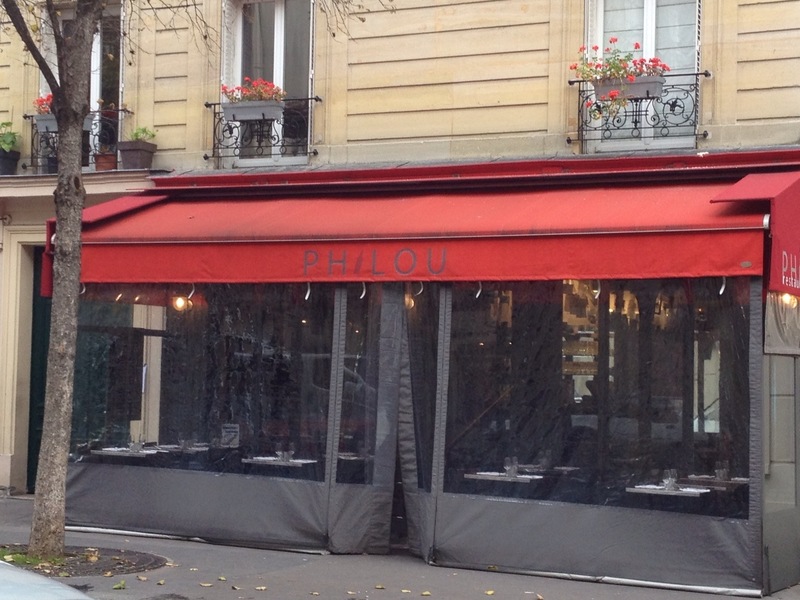 After our brisk walk to Paris’ 10th arrondissement from the Marais, we headed to Philou for lunch. The restaurant got a good write up from Mark Bittman in the New York Times, and we were curious to give it a go. We’ve been spending most of our time in the Marais – which is like living in an almost surreal fairy tale land that feels like a movie set and couldn’t get any more darling unless the streets were also teaming with kittens. But a few days ago we set out in search of an intriguing restaurant in the 10th arrondissement, where things are a little grittier and the fairy tale quotient is dialed down to four. We had a lovely time. 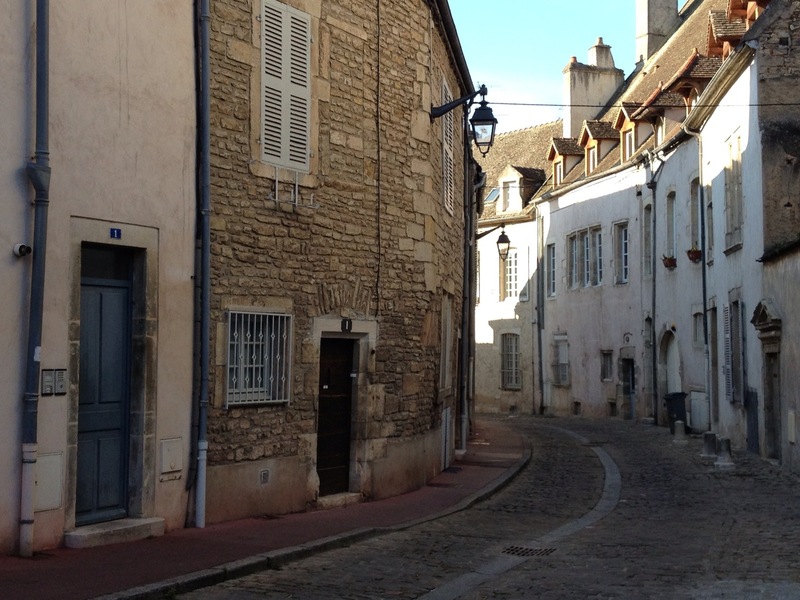 A three hour train ride from Paris and you can find yourself in Burgundy wine country. The countryside actually reminded us of the Willamette Valley in Oregon. The houses and buildings were a different story entirely. 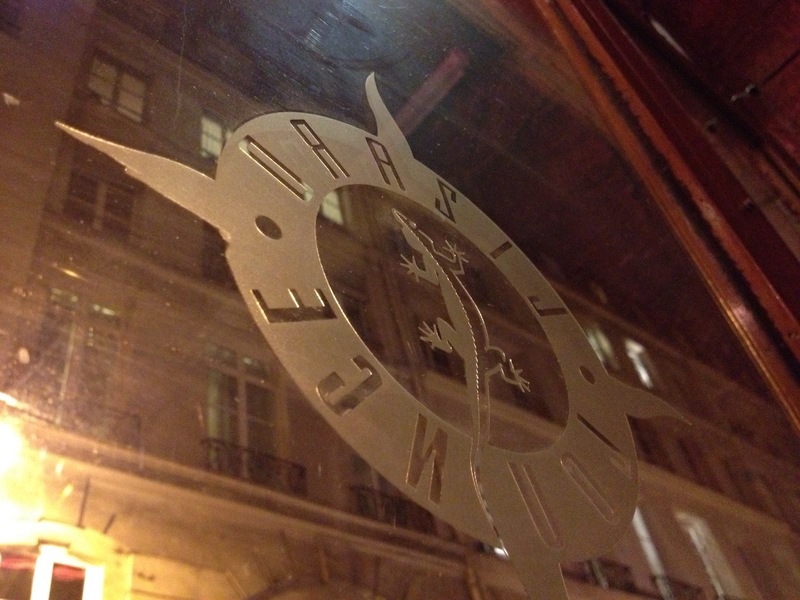 A stroll thru the Marais on a Monday evening is a great way to observe the local Parisien in their element. Families walk by with babies strapped to their chests and bags of groceries. All of the dogs are out with their owners after a day spent inside. Bicycle commuters pedal home in their suits. And the local bar is pleasantly busy but hardly packed. And so we found ourselves at the Lizard Lounge. 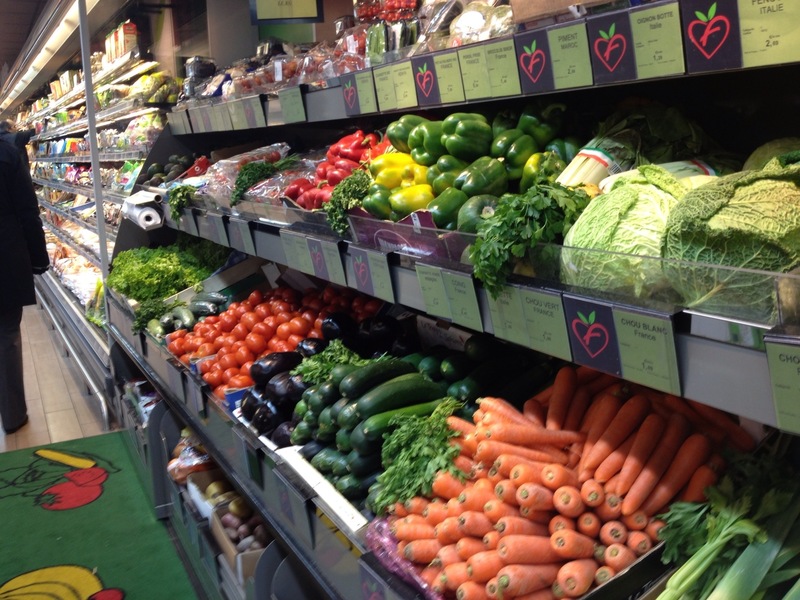 Whenever we visit a new city, we like to check out the grocery stores. It’s such an interesting way to get to know the people and their culture. Franprix groceries are ubiquitous. 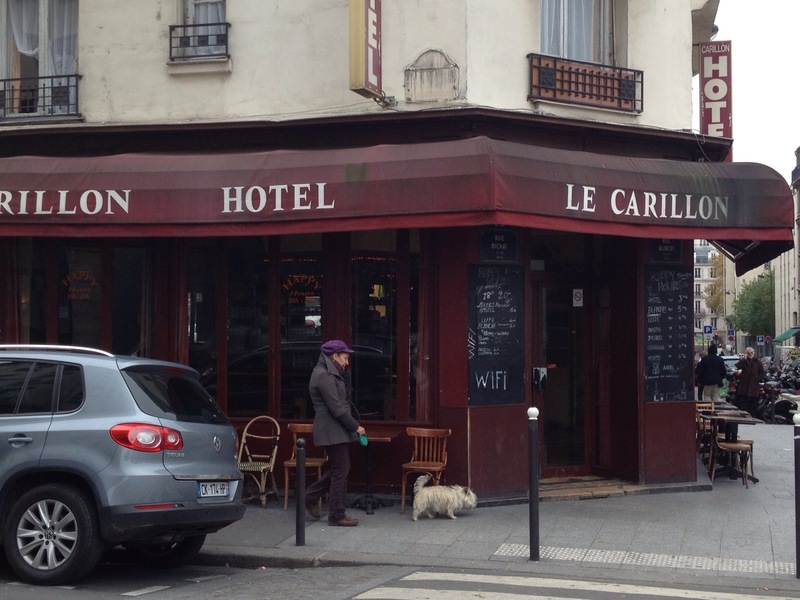 We visited this one in the 10th arrondissement on our way to check out a restaurant. We discovered some pretty great stuff, and thought we’d share it with folks who might be curious what their French friends are eating. As I type, we’re lounging on our sofa eating goodies from the Sunday farmers market, looking out at the Seine and the Eiffel Tower, which is all lit up for the evening. The Marche Raspail organic market opens every Sunday, and its bustling atmosphere and delicious food is a sight not to be missed. 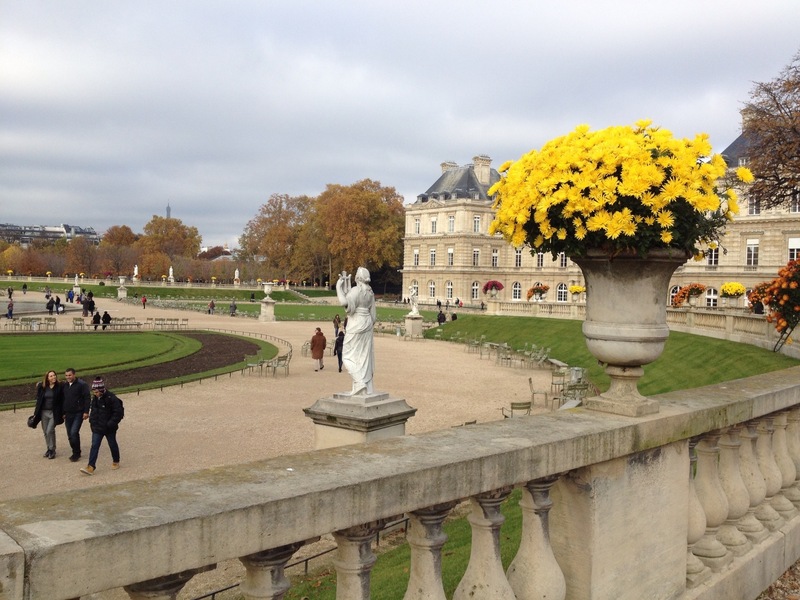 It’s just a short walk from the Marais, where we’re staying.